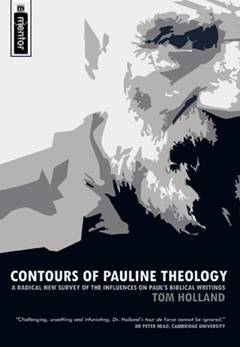 I am reading a book of Tom Holland, Contours of Pauline Theology. He argues that the theology of Paul is about the Second Exodus or New Exodus, a second Pesach. Paul uses the model of the Exodus in his writings, especially in the letter to the Romans, according to Tom Holland. Interesting point is his view on baptism. Baptism which is spoken of in the New Testament is corporate and it is done with the dead of Christ. The community is baptized into Christ’s dead. The model of the Exodus gives us a pattern of the real true baptism. Real baptism is done by HaSjem with Yeshua. And it has to be done with us. All who are dealing with it, are entering a new covenant, a state of being born-again, dying in the old body of sin and rising up into a new body, full of love and holiness for HaSjem. Water baptism is an old Jewish cleaning ritual, however it has a very rich meaning. In the time of Yeshua it was becoming a sign. In essence it points back to the redemption of the people of Israel through the Red See in connection with Pesach (forgiveness of sin) before and Shavuot (entering the covenant) after it. To learn more about water baptism, a good article has been written by Ceil Rosen of Jews for Jesus. I’ve found many nice articles, all on Messianic websites and all pointing back to the Mikve and Mayim Chayim and its meaning. This matches with the main parts of the Heidelberg Cathechism: Misery of man (the Law), Deliverance and Thankfulness. Yeshua did it all, and in him we are being baptized. Tom Holland clearly points out that the body (here) means corporate, chapter 5 – The Paschal Community and the Body of Sin. Book is full text available online here.